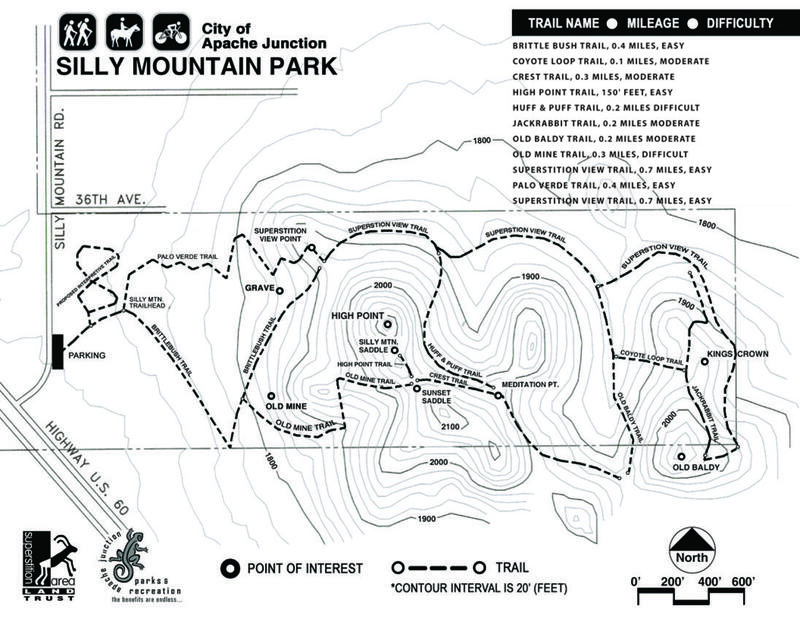 Old Mine Trail - Silly Mtn is a 0.3 mile one way hike with 268 feet elevation gain. Located 15 miles east-southeast of Mesa Arizona. February and March are the best months to enjoy this hike.